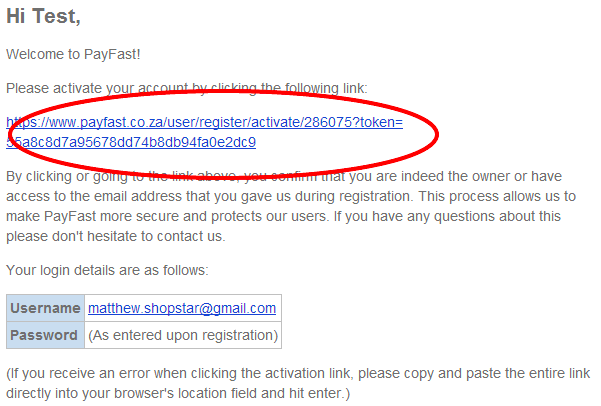 To accept payments on Shopstar you need to have either a PayPal or PayFast account. 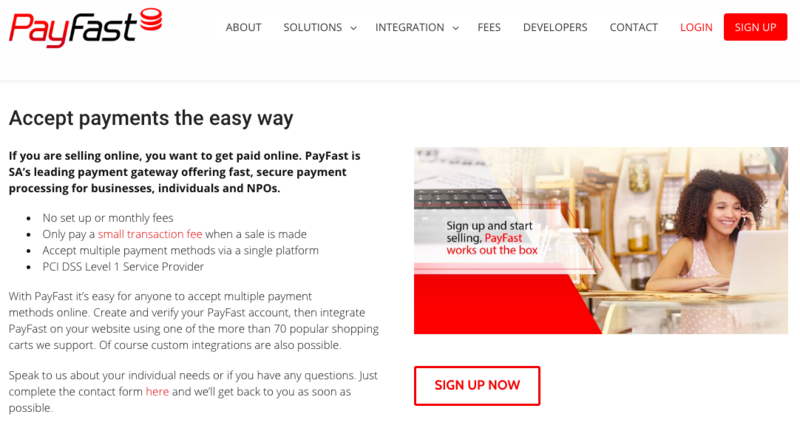 Follow these steps to set up a PayFast account. 2. Fill out the form, tick the boxes and click continue. 3. Select the appropriate box - either of the ones circled. 4. Depending on your selection you will be presented with one of two forms.Individuals will needRegistered businesses will needName, Email Address, ID Number, South African Bank Account, Postal Address, Physical Address.Name, Email Address, ID Number, South African Bank Account, Postal Address, Physical Address, Company Name, Company Registration Number. 5. Once submitted you will be presented with the following affirmation screen telling you to check your email for further instructions. 6. 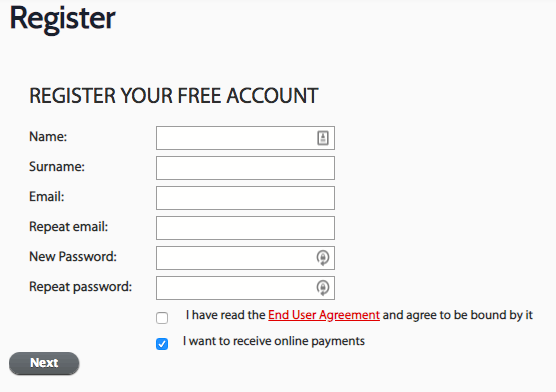 In the email you received, follow the link to activate your account and then login. 7. You’re nearly done, all that is left is to verify your account and enable Instant Transaction Notifications (ITN). 8. Verify your account: Under notifications click “User account”. 9. 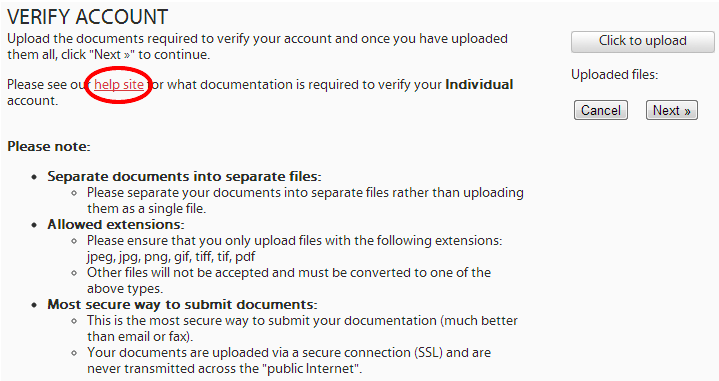 To verify your account PayFast requires certain documents. Click “help site” to learn which documents are required. 10. 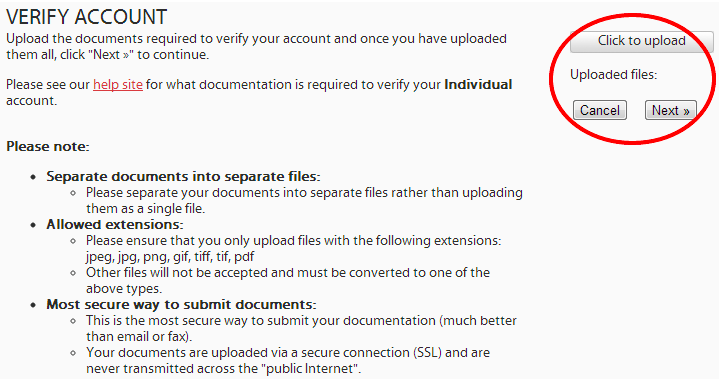 Once you have the documents ready, upload them to payfast using the document uploader. 12. Enable ITN: Once logged in to your PayFast account click the settings tab. 13. Then edit "INSTANT TRANSACTION NOTIFICATION (ITN)"
14. 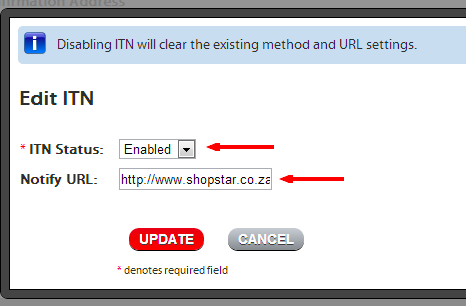 From the dropdown, select "enabled" and copy the Shopstar URL (http://www.shopstar.co.za/) into the "Notify URL" field. Then click update and you're complete. Well done.